Other changes in this version (3.5.5 on my Nexus 6) are mostly bug fixes, notably including a major bug for Wi-Fi detection on Marshmallow phones and tablets. 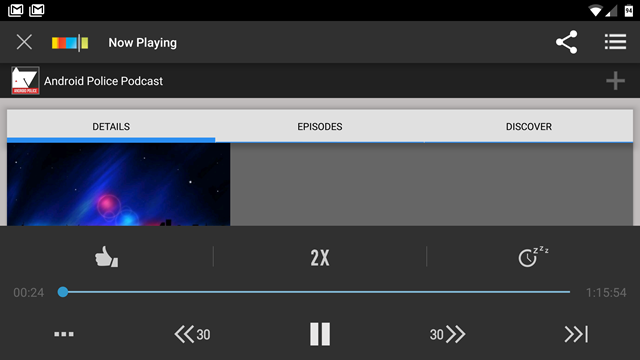 Other changes include improvements to reliability and the refresh function, fixes for episodes out of order, and others that didn't get their own place in the changelog. Stitcher is a free download on the Play Store, and the updated version of the app seems to be going out to everyone right now. Update your app if you want to make your favorite podcast hosts (and/or Android bloggers) sound like Alvin and the Chipmunks.